Legend has it that Hare acted kindly towards Elephant during a year of drought by helping him to find water, and was rewarded with a tusk. This he planted in his garden where it grew into a beautiful fruit-bearing tree which he named Marula. So precious however was the tusk to Elephant that to this day he seeks it out under the Marula tree, devouring vast quantities of the fruit every season to sustain him in his quest. Known scientifically as Sclerocarrya birrea the Marula tree is of great importance not only to elephants but also to humans. A profusion of flowers bloom in the early summer at which time the background hum of bees is ever present. Then, from February to April fruits the size of large apricots, are borne on the female trees. During these three months, in keeping with the legend, elephants (Loxodonta africana) are never far away from this bountiful food source often shaking the trees to make them give up their valuable prize. Containing 54mg/100g of vitamin C - two to four times that of citrus - bull elephants in musth (a periodic cycle in which their impulse to mate goes into overdrive and they become very aggressive) consume particularly large quantities of the fruit in order to boost their immune systems during their pursuit of females. The African honey bee (Apis mellifera) is the hereto missing link between elephants and the marriage tree. As the primary pollinator of Sclerocarrya birrea it ensures that Elephant is provided with sustenance for both the search for his tusk and females. 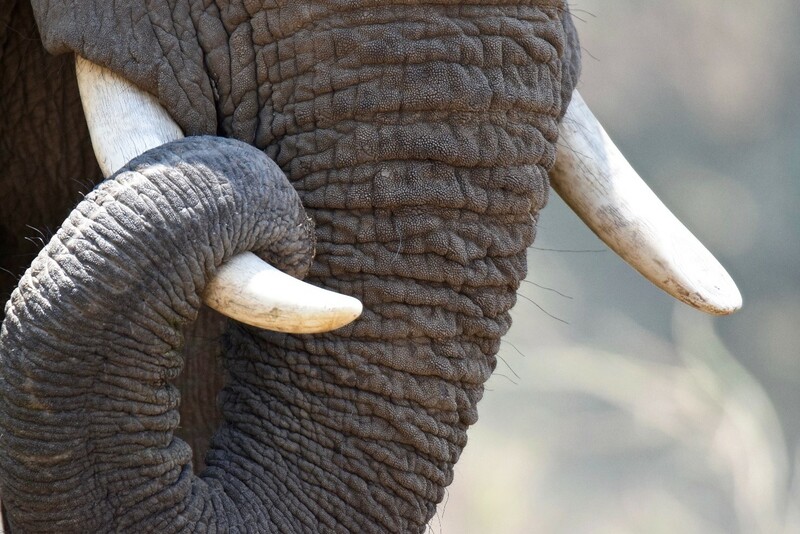 However as with many legends there is a sting in the tail… Elephants are terrified of bees! Evidence of this entered the scientific community in 2002 when Fritz Vollrath and Iain Douglas-Hamilton were discussing possible methods of preventing further elephant damage to Fever trees (Acacia xanthaphloea) growing along the Ewaso Nyiru River in the Laikipia area of Kenya. Interviews conducted then, and later by Lucy King from Oxford University for her doctoral thesis, revealed that scenes of elephants being chased up to five kilometers by angry bees had been documented by local people for decades and had been part of Masai legend for generations. King’s research demonstrated that elephants utter a distinctive rumble in response to the sound of bees after which they run away shaking their heads. Her study provided the first evidence of an alarm call in the species. Tapping into elephants’ well-documented intelligence and memory King et al went on to devise a simple strategy of deterring elephants from damaging trees and local farmers’ crops. This they achieved by hanging beehives from wooden posts at 10-metre intervals with a long metal wire linking them all together. When an elephant hits the wire, it shakes the hives and sends angry honeybees swarming into a defensive frenzy. Elephants associate the noise with previous severe pain in their trunks and depart without further ado! So, not only has legend and the observations of our ancestors stood the test of scientific scrutiny but the use of marula fruits to make alcohol has passed unbidden into the 21st Century; now where did I leave my glass of Amarula…?